How was your weekend? I hope everyone faired the horrible storms that were happening all over the states this weekend. Oregon missed most of it. I didn’t feel the effects of the earthquake that Seattle felt all the way from Canada, but it was definitely a nasty, rainy weekend. The kind of weekend you want to stay indoors with some hot tea and cozy sweaters, and that’s pretty much what we did. My brother lives in Philly with his wife and two cats. I had to share an email he sent me about his cats and preparing for Hurricane Sandy: “We filled the bath tub with water because we read it on one of the various advisories in preparation for the hurricane. They recommend doing it to have a surplus of water for washing things and flushing the toilet. Anyway, Claus is obsessed with water and had been sitting on the edge of the tub for the last half hour or so. I heard a splash, skittering, and saw a drenched cat slide across the bedroom floor. We are still laughing. Catching him with a towel was exciting!” It made me laugh so hard at the visual! I hope everyone is okay on the East Coast. My weekend started off great. Michael and I met some friends for dinner on Friday night. It had been too long since we’d seen them. They actually used to work with Michael, so it was fun getting caught up and he got to tell them all about his awesome new job. We met at Pho Oregon. For some reason, I’d been craving pho for weeks–probably just because of the hot, spicy broth. That kind of food is usually what I want when it’s cold and rainy out. This was Michael’s first time trying Pho, and it was the first time trying this restaurant for all of us. 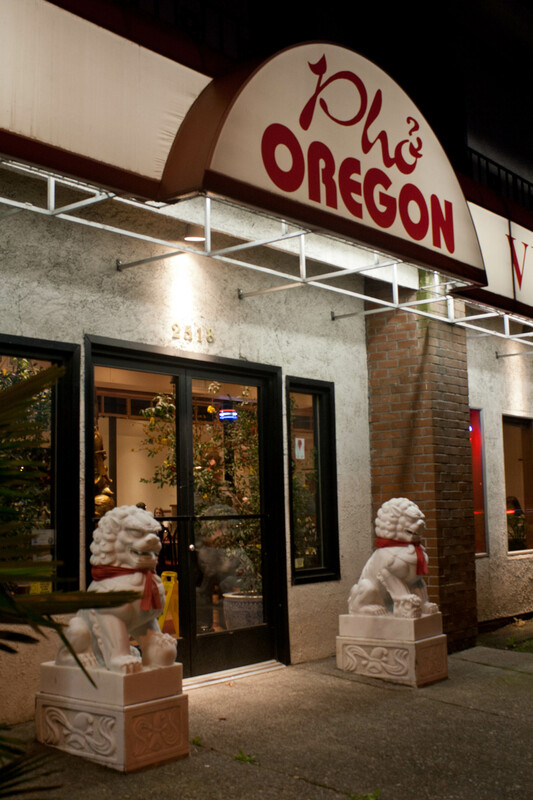 The reviews online said it was one of the best Pho places in Portland. The service was good, the food was delicious, it was really cheap. My only complaint was how bright the lights were there. They could do with dimming them just a tad…. I ordered the beef Pho (nothing too crazy for me). 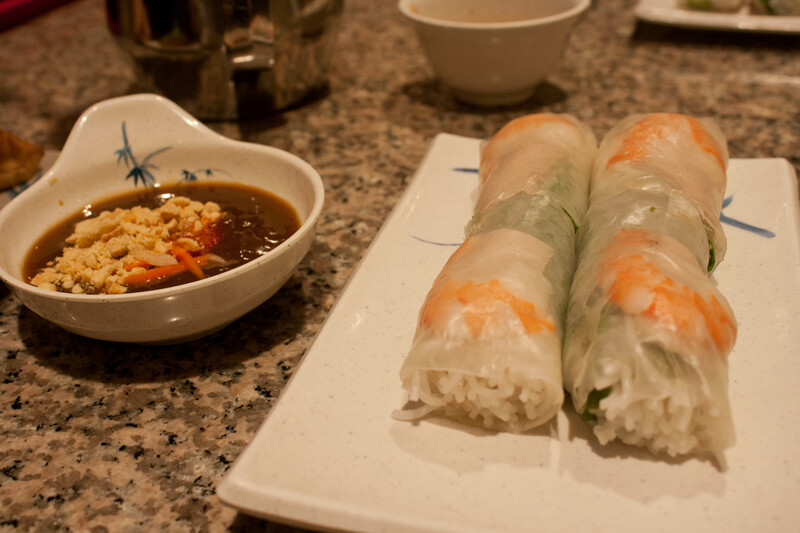 Michael and I also shared some salad rolls with shrimp in them. Even thought I got the small bowl, I still had tons of leftovers, so did Michael. So I combined our leftovers and had them Saturday night for dinner. Pho is very filling. And of course, I also had lots and lots of tea. After chatting and eating for a few hours, we went next door to a bar so the three of them could get a beer. I definitely did NOT need any more liquid in my belly. 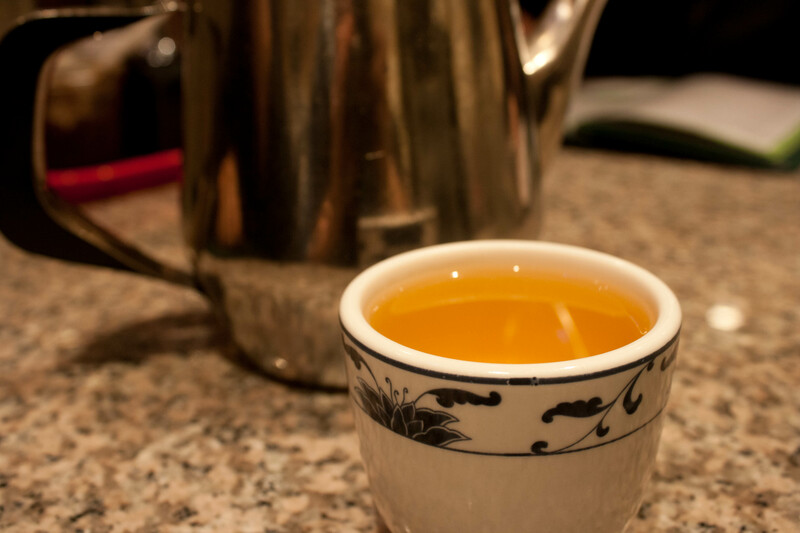 Between the soup, the water, the tea…I was going to be up all night at that rate! I’d forgotten that the weekend before Halloween is usually when people dress up and go out. The bar was packed with people in unique costumes–some particularly frightening. That guy was actually super nice, despite the terrifying costume! 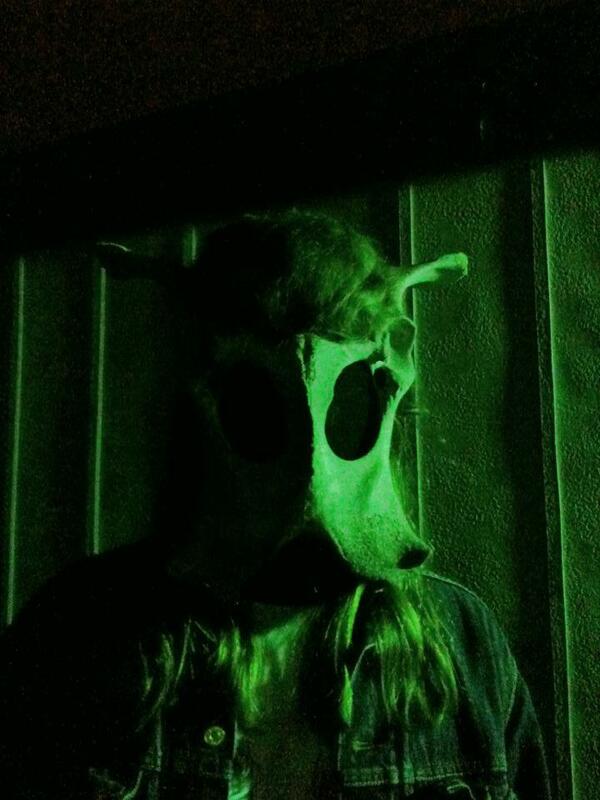 He explained that it was a deer mule pelvis his grandfather had killed 50 years ago and he fashioned it into a mask. Yikes. But cool. Saturday morning (well, almost afternoon by the time I woke up! 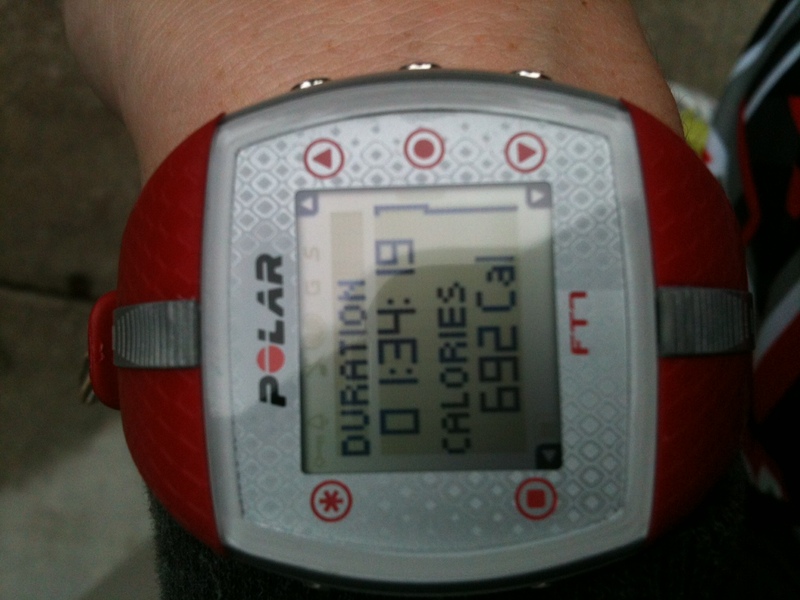 ), I went to the gym and had a great workout. For a few days this past week my knees had been bothering me again–after 7 days of being pain-free. 🙁 It was rather disappointing but I was glad they felt better on Saturday. 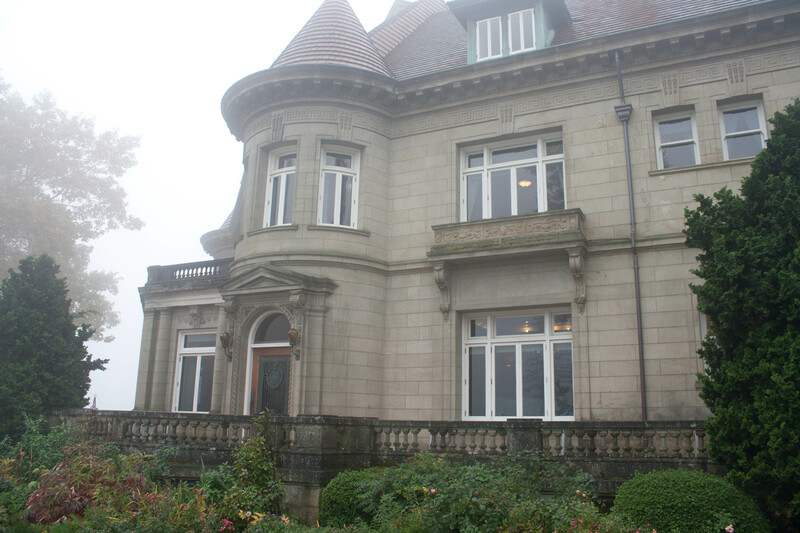 Michael and I spent Saturday afternoon exploring the Pittock Mansion. 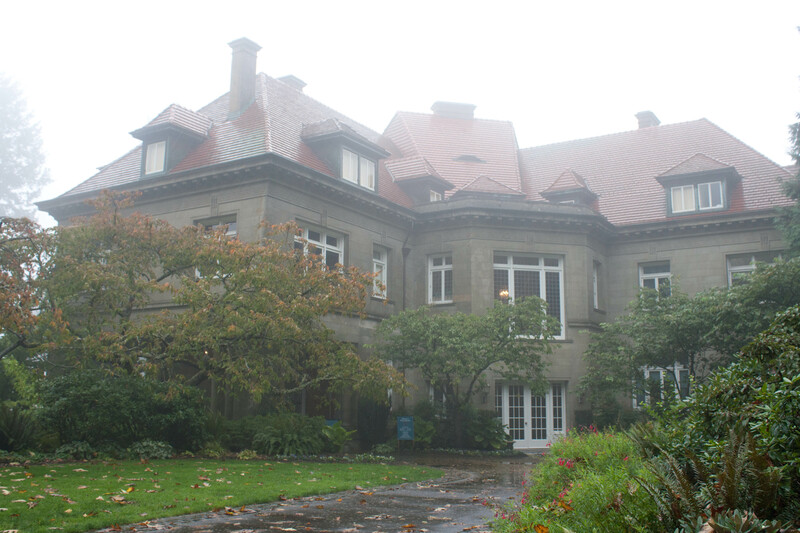 It’s a huge, beautiful old mansion here in Portland that was built for one of the first families that settled here. Henry Pittock was a pioneer and he started The Oregonian newspaper, as well as being on the first team to climb to the top of Mount Hood. He formed the “Mazamas” club that is even more popular today. His wife was also big into women’s rights. After years and years and they had passed on, the house started to fall apart. There was also a big storm in the 60’s that ruined the roof. The house was going to be demolished but the citizens of Portland raised enough money to buy it and turn it into a museum to conserve their city’s heritage. Thank goodness they did. It’s a marvelous place to visit. 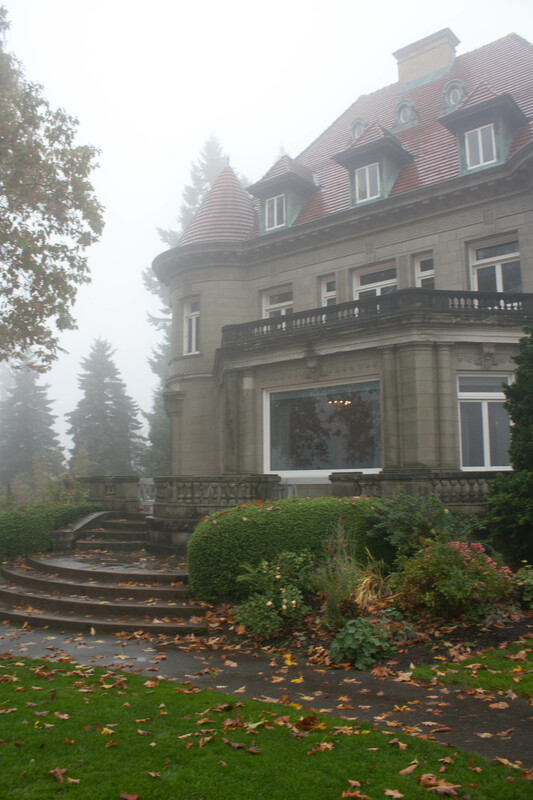 The mansion is high atop a hill overlooking Portland and in nice weather, you can see Mount St. Helens, Mount Hood and Mount Adams. Saturday was a very foggy, misty day so there wasn’t much to see beyond a few feet in front of us. 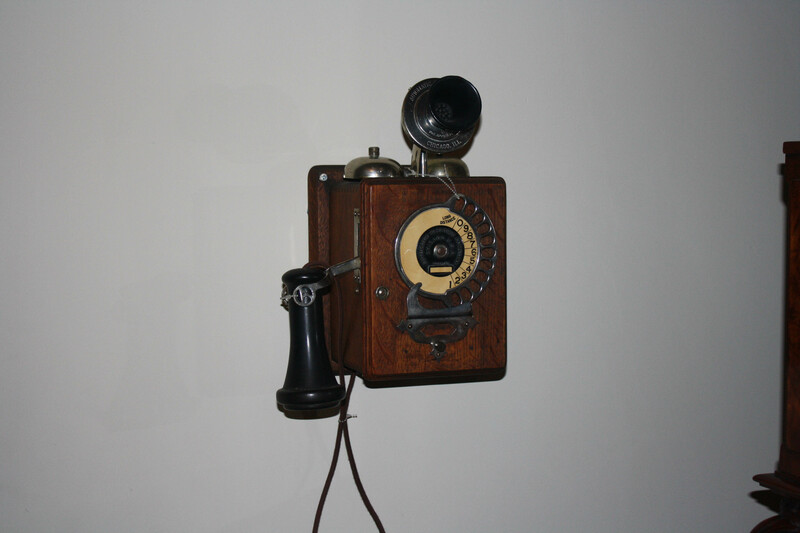 The house has been restored to it’s original state and all the things inside were from the family. The antiquities are pretty amazing to see. 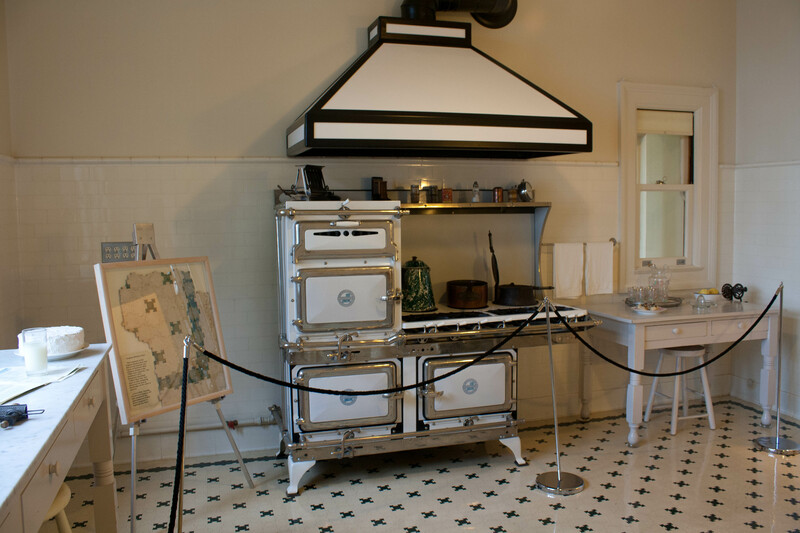 Check out that kitchen! 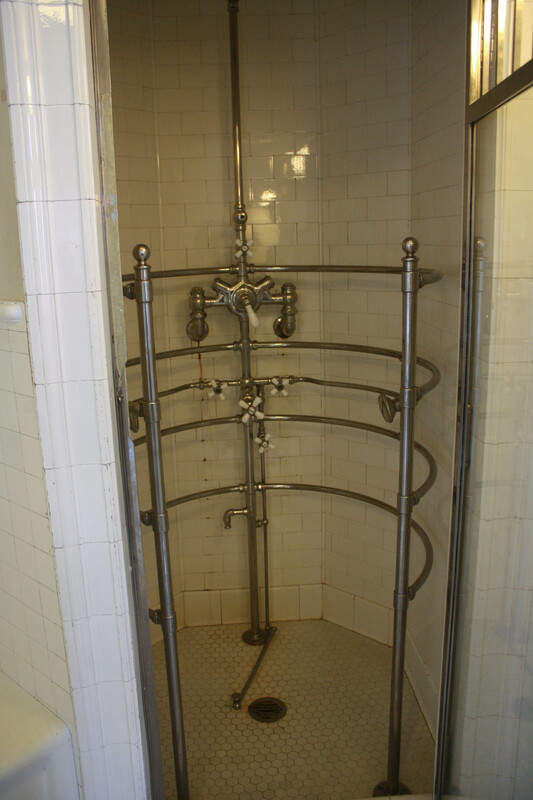 Doesn’t it look a lot like a medieval torture device? You tour most of the house. 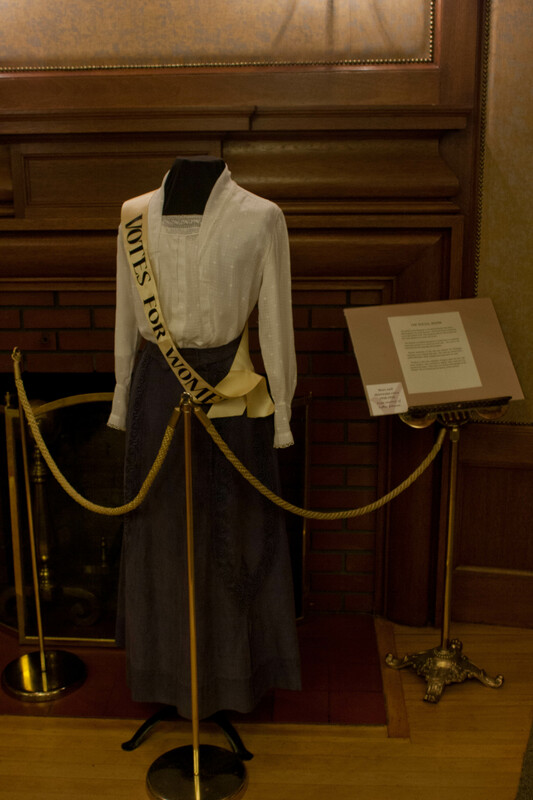 The tour has informational signs in each room describing the Pittock family’s life, plus all the items in the room. 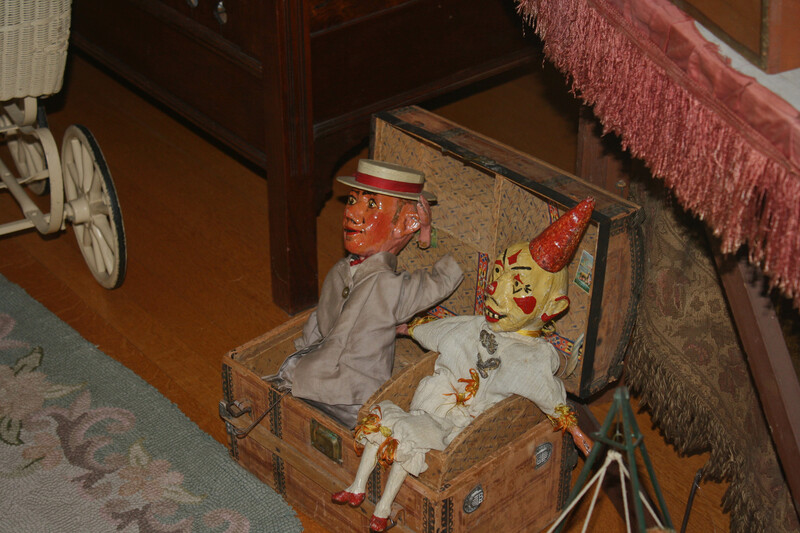 The kids’ room was full of lots of creepy toys. Yikes. 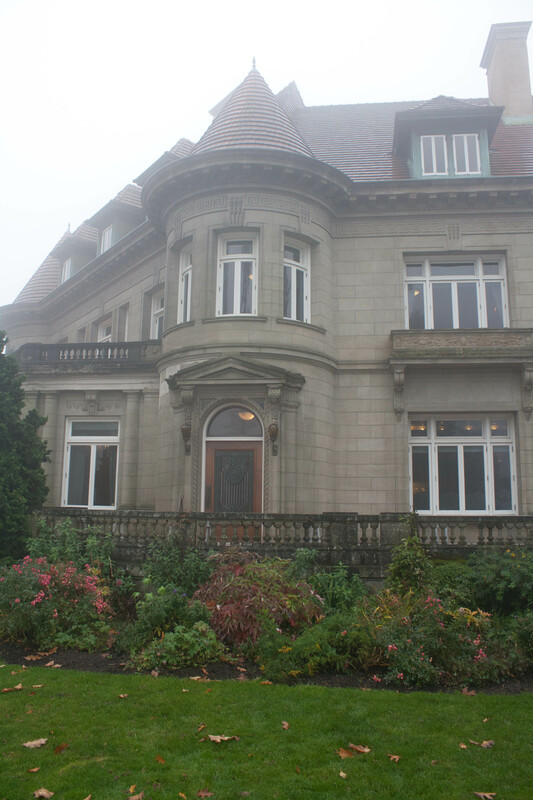 If you ever make it to Portland, the Pittock Mansion is worth a visit. 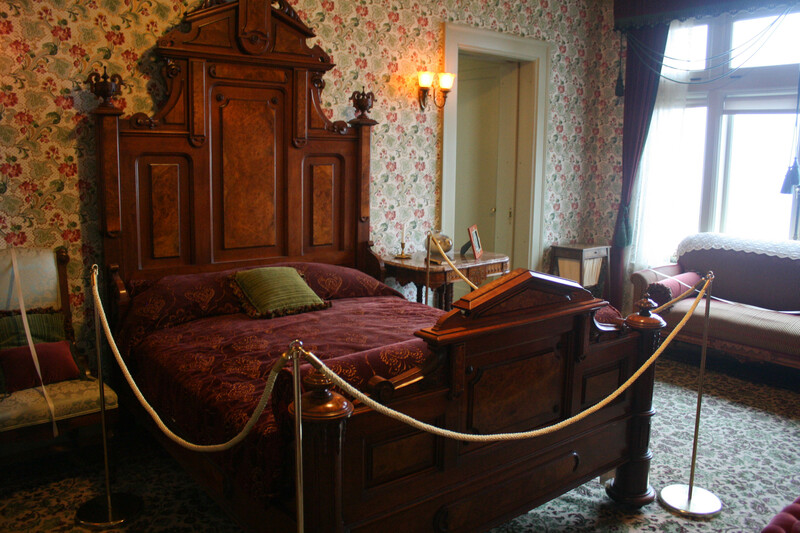 Just seeing the tiny details of how they lived at the turn of the century was fascinating, as was the opulence. 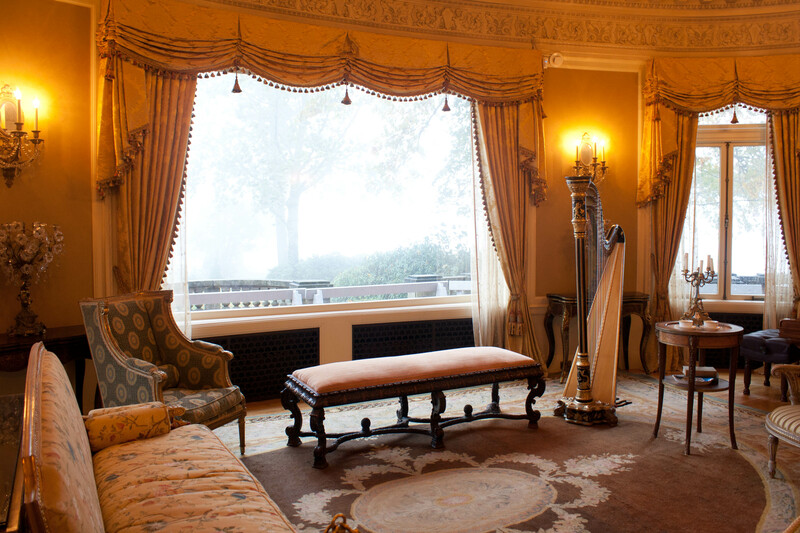 In nice weather, you can hike up to the Mansion from Washington Park and the Rose Gardens. QUESTION: Does your city have things like this from your settlers? 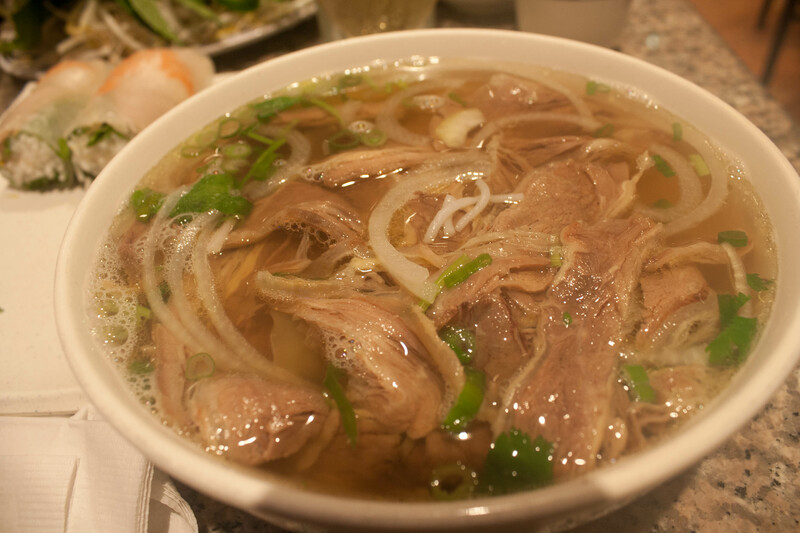 That pho looks amazinggggg. One of my favorite things to eat. I am fairly new to Pho but I really like it! WOW…..that mansion is spectacular. 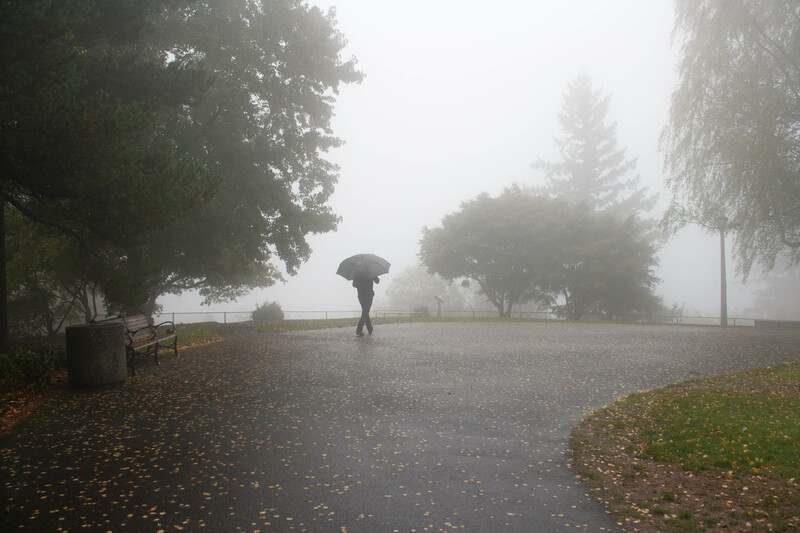 LOVE the misty photo of the person with the umbrella. Have a great Monday Lisa. oh that meal looks great! 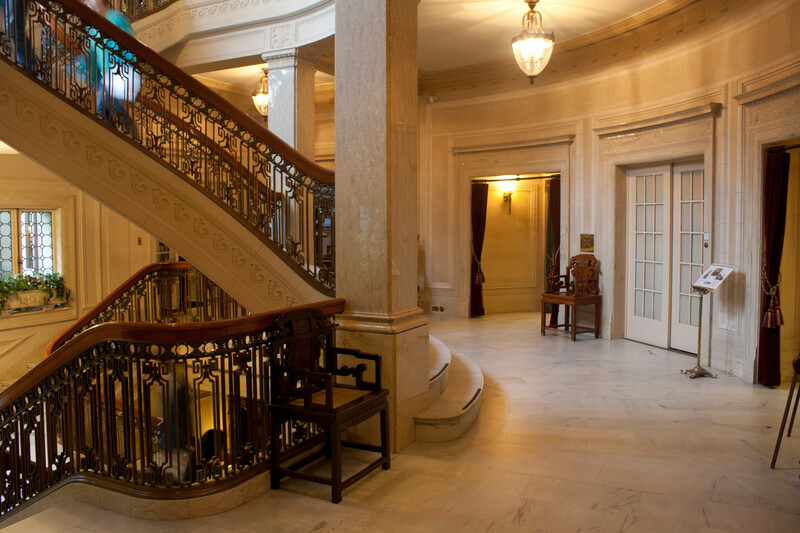 And wonderful photos of the mansion! Now I need to satisfy my other craving: sushi! I LOVE PHO!!!!!!! You totally made me crave it and I love your house photos. Are you an adventure Pho eater? Looks like you had an adventurous weekend! One of these days I’ll give the Pho dishes that scare me a try! Wow! How pretty! Our town has a few old buildings from when the town was born. There’s a building of some sort that is on the Blvd that I think was probably once a hotel when the Blvd was pretty much the only street. I believe outside of town is an old indian museum that is in a building probably older then most of the rest of the stuff standing in this valley. There is interesting sstuff here, but it tends to be spread out and not super obvious. I bet that would be really fun to go to. I love Native American history and the museums are usually rich with artifacts.